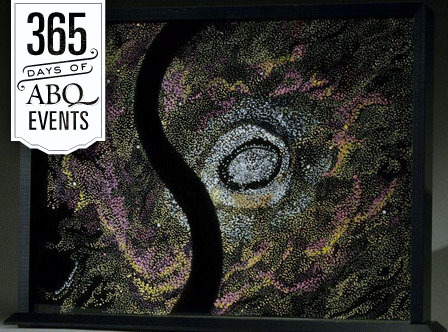 It&apos;s week forty-one of our #365DaysOfEvents campaign. This week have supper with Santa, see the lighting of the luminarias at the Sky City Cultural Center on Christmas Eve and catch the marathon screening of the Back to the Future Trilogy at the KiMo. 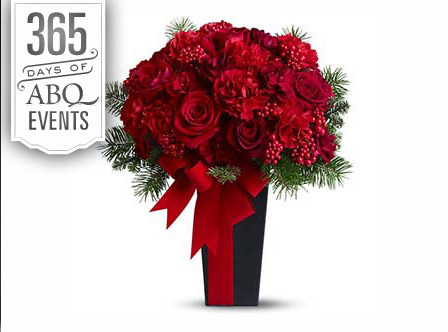 For more fun, be sure to check out our events calendar. 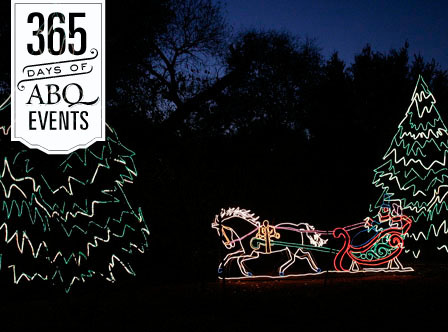 Meet Santa and enjoy a delicious buffet or order from a holiday menu before or after your visit to River of Lights. The Merge II Art Exhibit is presented by the national organization, the Society of Layerists in Multi-Media (SLMM), Southwest/West regional members. Don&apos;t miss this great exhibit. 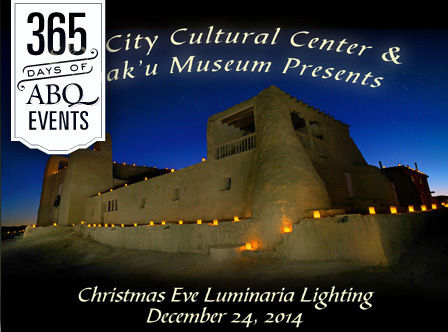 The Sky City Cultural Center and Haak&apos;u Museum presents the Annual Christmas Eve Luminarias display. All visitors are welcome to experience this Christmas Eve tradition as 2,000 luminarias light the way to Acoma Pueblo. Follow the adventures of a high school student, Marty McFly and an eccentric scientist, Dr. Emmett L. Brown, as they use a DeLorean time machine to time travel to different periods in the history of Hill Valley, California. 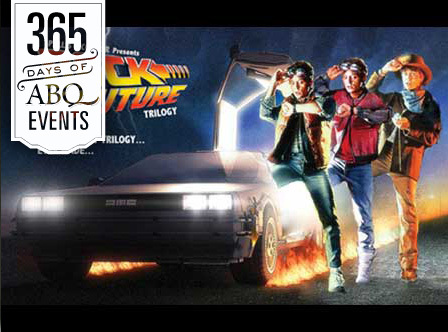 The KiMo will be show all three Back to the Future films. Rated PG. 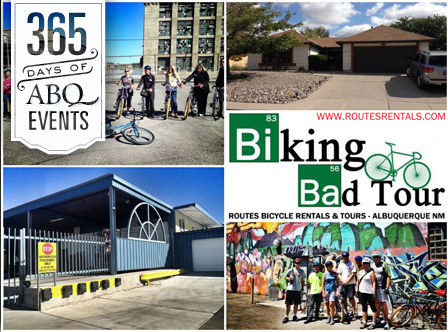 Join Routes Bicycle Rentals & Tours for an intimate and interactive experience that takes you into the streets in search of your next "fix", or key scenes and locations from "Breaking Bad", the popular Emmy award-winning television series. Albuquerque&apos;s quirkiest weekly concert series. This week features music from Arcangelo Corelli: Concerto Grosso in G Minor, Christmas Concerto: J S Bach: Suite in B Minor for Flute and Strings and Steve Reich: Duet for Two Violins. Musicans include David Felberg on violin and Jesse Tatum on flute. John Roche will be the featured poet.